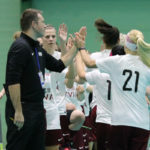 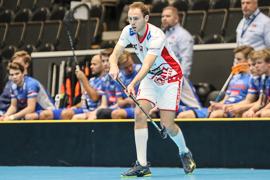 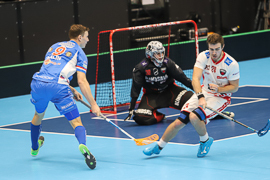 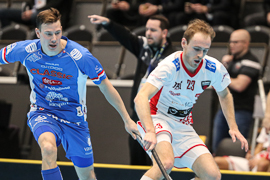 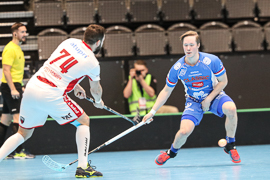 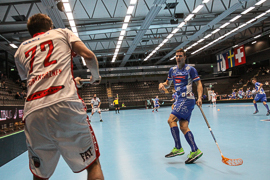 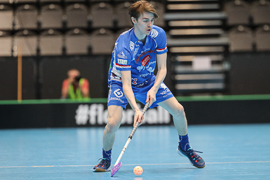 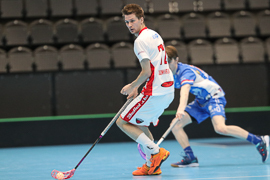 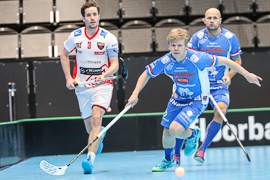 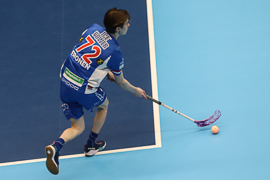 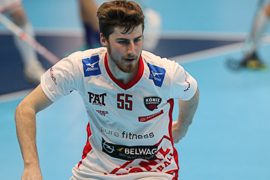 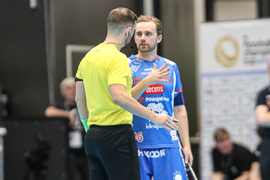 Finnish Champion SC Classic from Tampere and Top-of-Switzerland Floorball Köniz opened the Men Tournament of the 2019 Floorball Champions Cup. 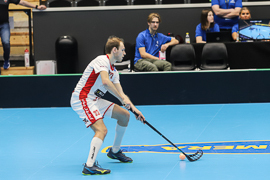 Players like Jan Zaugg gave some hope for the Swiss to do an upset, but Classic, of course, was the favorite team for this semifinal. 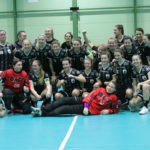 The Scandinavians were warned to take the match serious after Vitkovice’s upset against SB-Pro at the women. 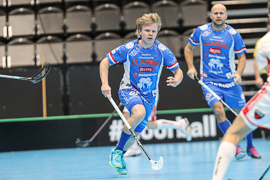 Classic took the role of the favorite and controlled the first minutes. 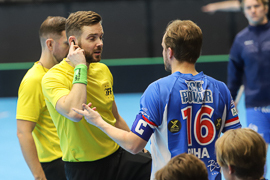 However, Köniz played a strong defense, tried to keep the match calm, so that Patrick Eder did not have to show his skills too often. 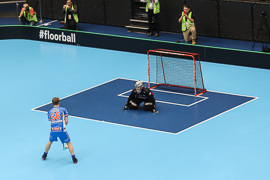 A right wing attack of SC Classic could only be stopped by a defensive hit, though, so that Krister Savonen stepped towards the center mark in the 13th minute for the penalty shot. 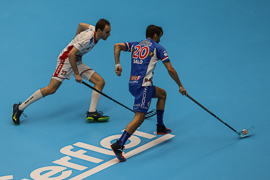 No chance for Eder – 1-0. 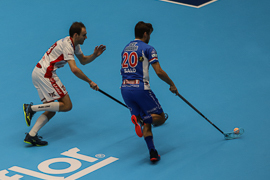 Just some two minutes later, Nico Salo increased the score to 2-0. 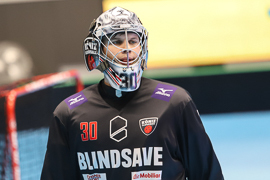 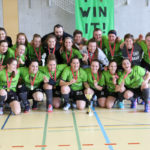 After Eemeli Salin even raised to a 3-0 score in the 18th minute, Köniz had to count down the seconds to prevent an even worse situation at the first intermission. 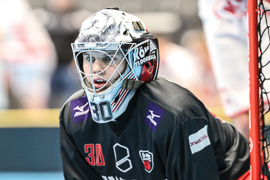 There were two early goals in the second period: Fabian Michel scored the first goal for Köniz in the 22nd minute, while Mikko Leikkanen gave Classic back the three-goal distance in power play just some three minutes later. 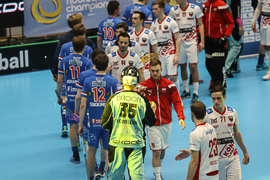 Thereafter, Classic had players on the penalty bench a couple of times – there was even a short two man advantage situation for the Swiss. 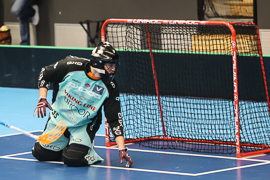 Köniz put more pressure on Lassi Toriseva, but could not convert. 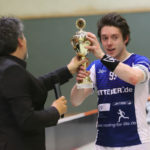 Especially Jan Zaugg had some nice opportunities. 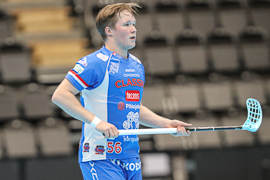 Savonen heard the intermission buzzer from the penalty bench, after he took away the opponent’s stick and got a misconduct. 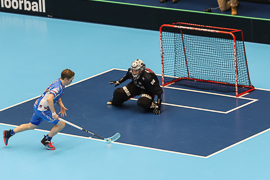 The score stayed 4-1, though, which reflected Köniz better performance in the second period. 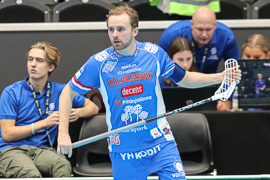 During a delayed penalty, Classic scored their fifth goal in the 50th minute by Leikkanen. 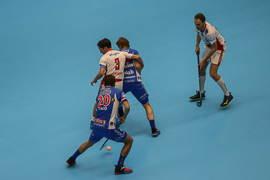 In the last minutes, Köniz tried to go for another goal and even played with six field players. 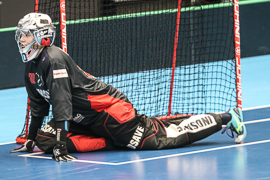 There were a few decent chances for the Swiss, but Classic converted two empty-netters: Janne Lamminen (56th) and Aaro Helin (58th) sealed the 7-1 victory. 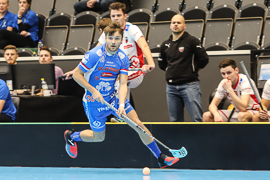 Just too strong – even in the second period, where Classic acted quite unconcentrated, Köniz did not really show a strong chance for a comeback. 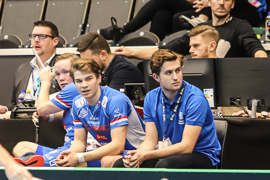 The Finnish champions were just too strong. 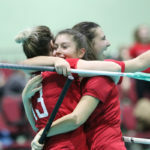 and did what they needed to do to go for the cup and save their powers for the match, which is likely really important for them. 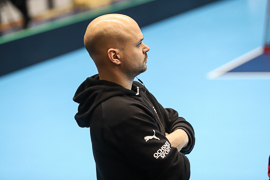 That’s the way I expected SB-Pro to play as well – but you just see the significant difference between the two teams from “Suomi”.